Since I moved a shelf in my shop I have to find new homes for stuff that used to sit on it. One of the tools I have at hand is a mallet from Shenandoah tool works. This mallet has a double grip (triple actually, I hold the head for fine work) and needed a forked holder. I used a simple technique to do this one. A scrap of 1/8″ plywood about 1 1/2 by 1 1/2 is used for the back, and 2×2 block of 3/4 pine is used for the hook. First I bored out the hole in the center of the block (Actually, it’s just back from center). Then I used a backsaw to cut out the waste from the hole to the front of the block. 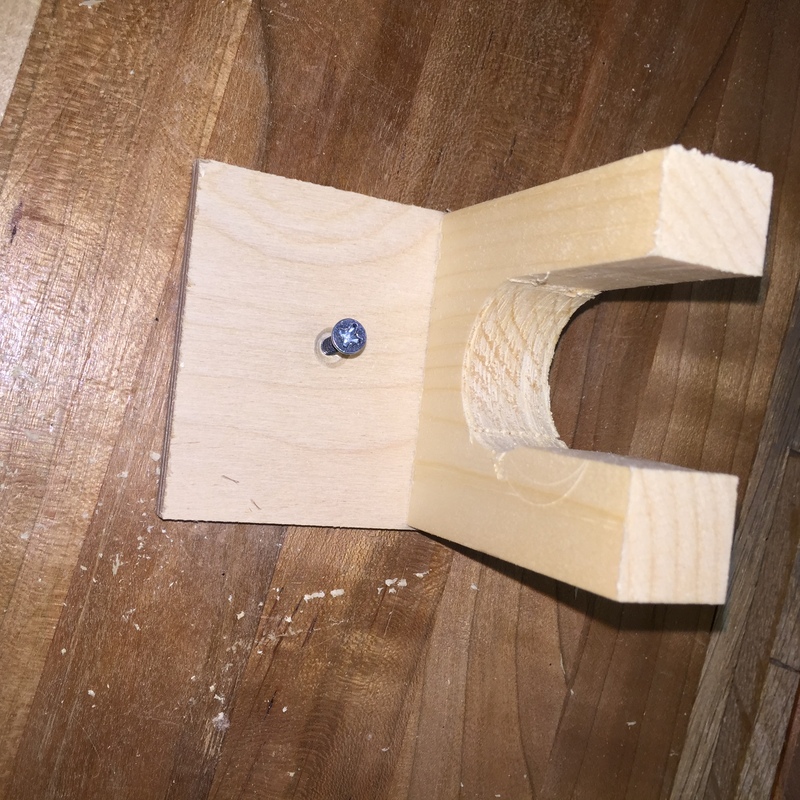 I checked the fit, then attached the plywood to the pine block with a pair of screws and attached the plywood to the wall using just one screw. All done, and it’s within reach, and safely out of harms way the rest of the time! 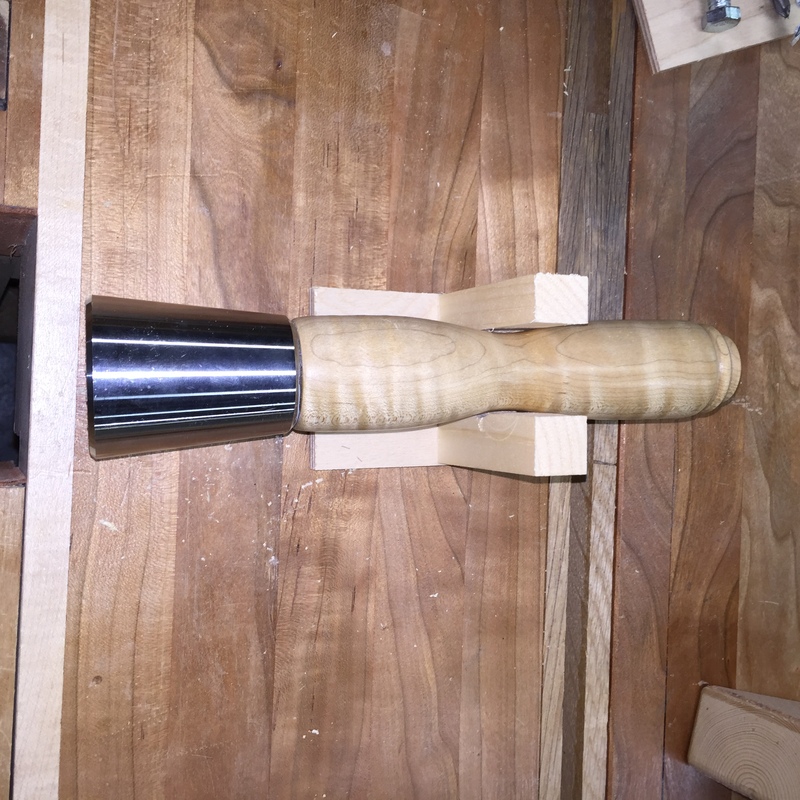 This entry was posted in Shop stuff, Tools and tagged hand tools, shop stuff, tool maintenance on November 5, 2014 by bkbiggs.